These days, it is quite common to see DIY tutorials all over the Internet, covering just about everything. Flooring installation is now a part of that trend, with advice coming from “experts” on how to successfully install your own flooring. It’s true that some flooring is actually pretty easy to install yourself. However, there are some things you have to watch out for, even if you are qualified. All Pro Floors Proudly offers products and services that fit any budget. Additionally, our installation experts are certified and highly skilled, with more than twenty years of installation experience. In fact, we’ve been servicing the areas of Arlington, Mansfield, and the Dallas-Fort Worth Metroplex areas, with great reviews, all from our showroom location in Arlington, TX. Stop by any time for more information for your own flooring needs. Choosing a professional service for your floors doesn’t mean you can’t do it yourself. It also doesn’t mean that you just don’t want to do the work on your own. No, there’s far more to it than that. 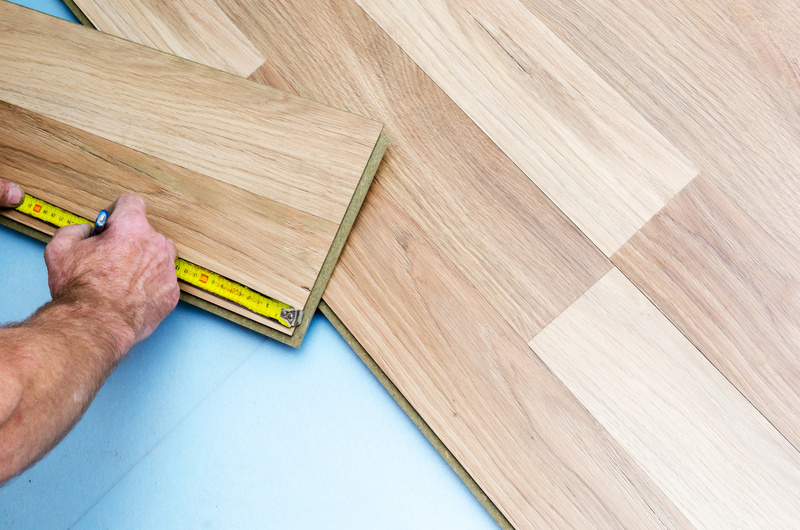 For one thing, in many cases, a DIY flooring installation might even void your warranty. Some manufacturers only honor their warranty, if professional installation is part of the deal. This could be the most important reason to make sure a professional installs your floors. You certainly don’t want to wind up paying out of pocket, if something goes wrong a few years down the road. On the other hand, some flooring materials simply necessitate professional installation. Solid wood floors, carpet and tile all, for example, have special tools associated with their installation. Without them, installing these materials correctly is nearly impossible. While it might look good right after installation, without them, the overall result will be greatly lacking. Some of the things that can happen without a professional installation include hardwood floors that cup, buckle, warp, or crack. Carpeting may come apart at the seams, come loose from stairways, or wear out prematurely in certain areas; and tile that can cost a great deal more than what you allowed for a budget, because of chipping and cracking tile pieces. Considering those things, do you really think these are chances you want to take with your new flooring? To make sure your new flooring is protected and safe from premature problems, be sure to give us a call about professional flooring installation.